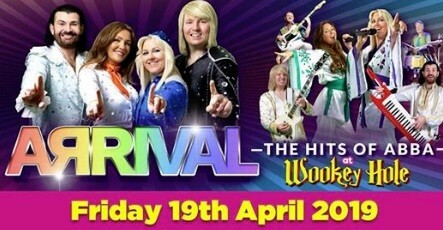 The show that every ABBA fan has been waiting for! This multi award winning show has toured internationally, has sold out in over 28 different countries worldwide, and has delighted audiences of all ages. As well as performing in venues across the globe Arrival have also performed on T.V and Radio stations internationally with appearances in the U.S.A, India and China performing to millions of Abba Fans, which truly makes Arrival one of the world’s most successful touring tribute shows. A fantastic high energy show that features a vast catalogue of hits loved by generation after generation including: ‘Mamma Mia’, ‘Dancing Queen’, ‘The Winner Takes it All, ‘Waterloo’, ‘Voulez Vous’ and many more. A 2 hour extravaganza with original Abba harmonies, authentic replica costumes, stunning vocals, accomplished live band and video projection throughout. This winning formula recreates the true feel and thrill of a live ABBA concert.